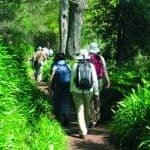 Discovering Spain’s Moorish cities or Portugal’s wine-producing Douro Valley, island-hopping in Greece or exploring further afield - Saga’s range of singles-only escorted tours for the over-50s are ideal for solos who prefer to be amongst fellow travellers in a similar situation, along with a mix of excursions and free time. We are renowned for the quality and value of our escorted tours which have always been popular with solo travellers. More recently, in response to demand, we have introduced a number of departures for singles only. Accompanied by our dedicated Saga tour managers, there’s always a good mix of sight-seeing excursions and free time and a very sociable atmosphere throughout. Many meals are included in the price. 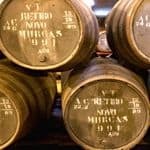 Our Douro Adventure is a wonderful introduction to Portugal’s most beautiful region with a river cruise along the Douro and a trip on the picturesque Douro Valley railway. 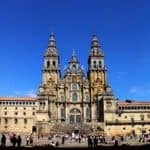 Take in Moorish architecture, majestic cities such as Granada, Seville and Cordoba plus Jerez and the Bay of Cadiz on our Magic of Andalucia tour. Bordeaux, Pamplona, Biarritz and Santiago de Compostela are our bases on the Discovering the Way of St James holiday. Four guided walks are included, as is a Rioja tasting. On the Taste of the Greek Islands tour, you’ll spend time in Santorini, Paros, Mykonos, Delos and Naxos – a breathtaking island-hopping fortnight staying in three charming and characterful small hotels. Long-haul options for solo travellers include Cuba, China and South Africa. Check out our full range of escorted tours for the over 50s.